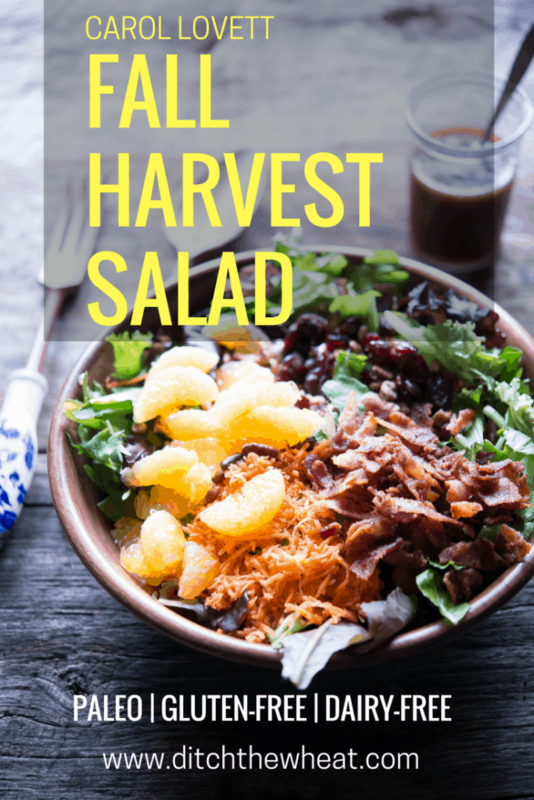 I created this fall harvest salad way back in 2016. It seemed perfect to share this fall salad now. I love the mix of cranberries, clementines, pecans and bacon! This salad is the perfect fall salad. 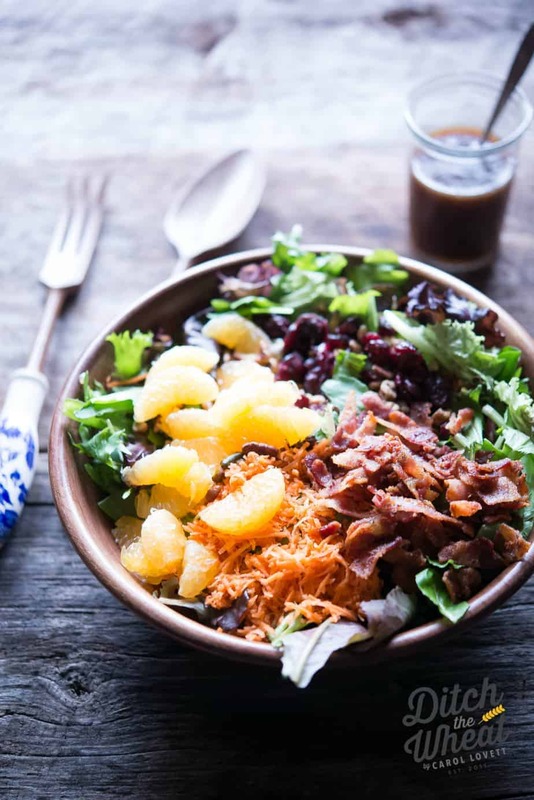 It is a sweet salad that is hearty. When I want to cut down on the sugar in the salad dressing I mix olive oil with balsamic vinegar and sprinkle it with sea salt and fresh ground pepper. 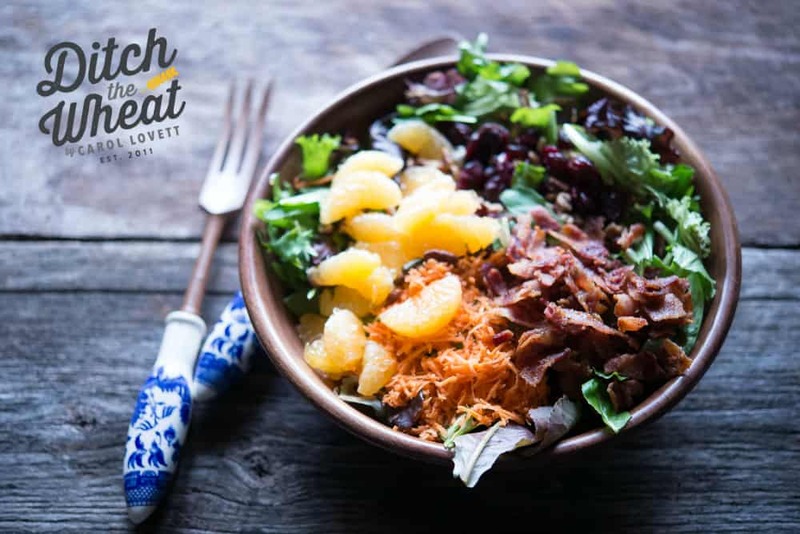 Place salad ingredients in a large bowl, and ½ cup of the salad dressing and toss. 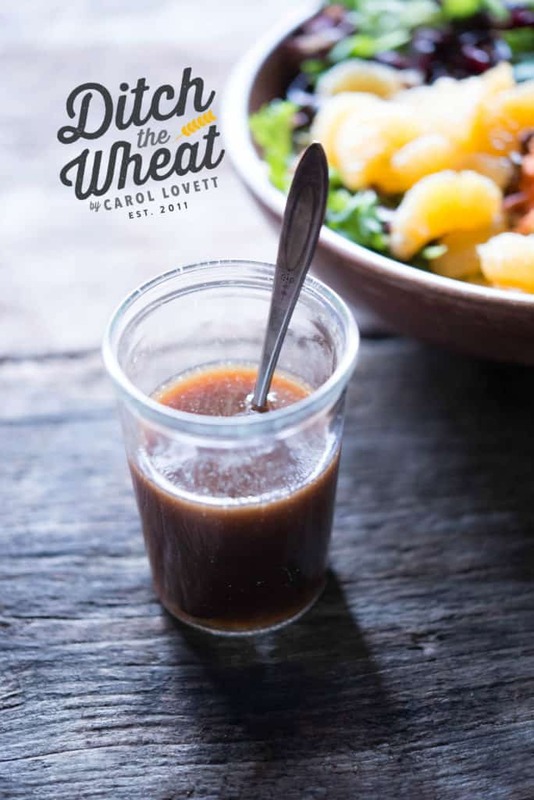 If you feel you need more dressing, add up to ¼ cup more, adding it in 1-tablespoon increments. Serve immediately or keep salad covered in the refrigerator and add dressing when ready to serve. Note: To segment clementines, use a paring knife to slice off the top and bottom of each clementine. Cut off all the skin including the exposed membrane of the segments. Use the knife to remove each individual segment, leaving the membrane behind. This is a sweet salad dressing that allows maple syrup to be the star. Since it’s on the sweet side I only serve it at special occasions. Place all the ingredients in a bowl. Whisk together until combined. On the day you plan on using the dressing, check to see if the olive oil has solidified in the fridge. If it has, remove the dressing and allow it to come to room temperature for 20 minutes. Whisk again before serving. Keeps up to 3 weeks in the fridge.